reliable operation system from underboard to be used by heavy handed operators !! Use a large diameter omega loop (like 2 inches) in the wire linkage and put stops to the actual movement of the signal at the desirable ends of its travel. up and return to on when finger removed. Anyway regardless of that I've just about finished everything else I was intending to do. but until we start serious running that's an unknown. will depend on the stock we want to run !! My working at home is now at an end, there are still things to be done, but others need to take an interest. I've had up in the kitchen to try working over the Kadee magnets. Not everything spot on, but near enough. truth is West Bay was a rather quiet backwater however it offers a fair amount of shunting to shuffle stock around. Not exactly the locomotive you'd expect to see here, but it was one of my few Kadee fitted locomotives. tips on the other modern replacement axle sets to allow some sideways movement and it LOOKS like it may work !! That photo is quite surprising, I expected more of the buildings to be there by 1920. 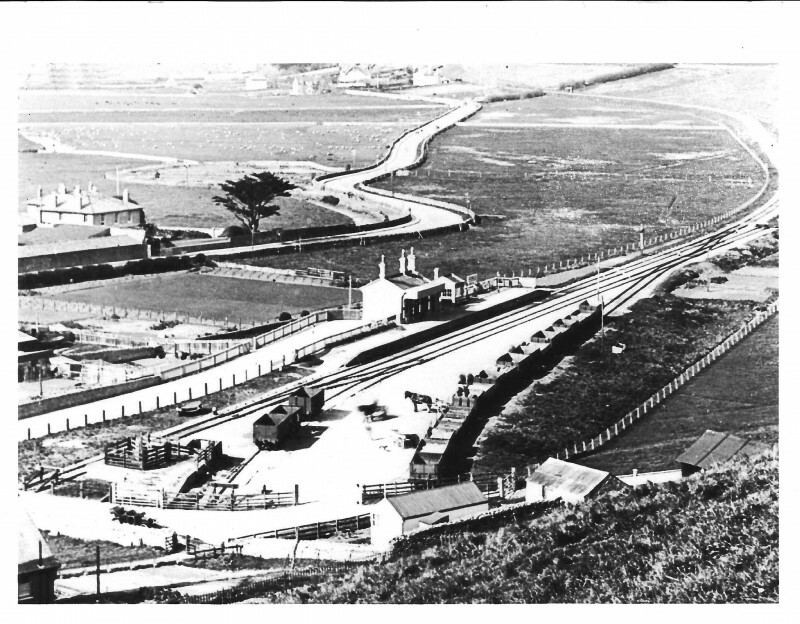 Despite West Bay being a GWR identikit building, it's remarkably identifiable. Well just as you think the jobs almost over, disasters strike. silver minis as these are as happy running DC as DCC. in the body sides to obtain enough space. Mmmmm I think not. of space keeping side tank weights in place. on the motor terminals as the motor no longer runs. Did it before I started ? for a one hour job !! just splicing the decoder wires on nearer the decoder I'd not have had the problem !! motor. The motor brushes are in a plastic end and heat can damage their springing. away from both components !!! should try and feel the pain ! Geoff, it's only legally obligatory for the manufacturer to fit it, there's no obligation on you to retain it if it will run without it and not cause interference. With the demise of analogue TV you would have to run your aerial lead through the baseboard to disrupt it. I shared a tea urn with the TVI investigation boys for about 18 months, and they reckoned that 90% of the complaints they got could be cured by using a proper aerial instead of a bit of wire or set top aerial. Digital TV has a similarity to DCC, the signal is at constant amplitude, so interference spikes can be chopped of before going to the tuner, then when the signal is decoded the error checking can filter out most of it. If the capacitor is causing a problem take it out, run the motor in the same room as the TV, if it doesn't interfere at that range you can forget it. 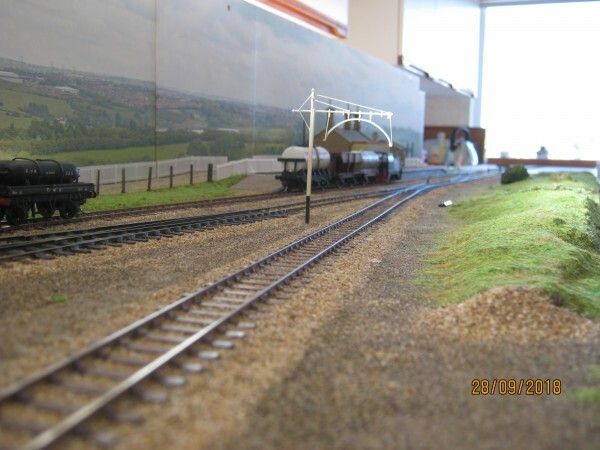 A most interesting view of British club modular layout construction. The horse draw conveyances add a remarkable element to the whole mis-en-scene. Done some club modular work here in the USA. About enough stress to kill a man. Plenty of skinned knuckles, pints of sweat, but no tears as I was too busy banging my head on the floor. Really a work of art there. I don't care what they say. I believe in Nessie. it never will be ! good results easily - otherwise we struggle to get enough magnet without getting too much !!! Geoff in the absence of 2mm dia stainless steel axles I made some, chopped from 2mm brass rod from Eileen's, turned to a point in the collet of by drill, with it turned horizontal in the stand. 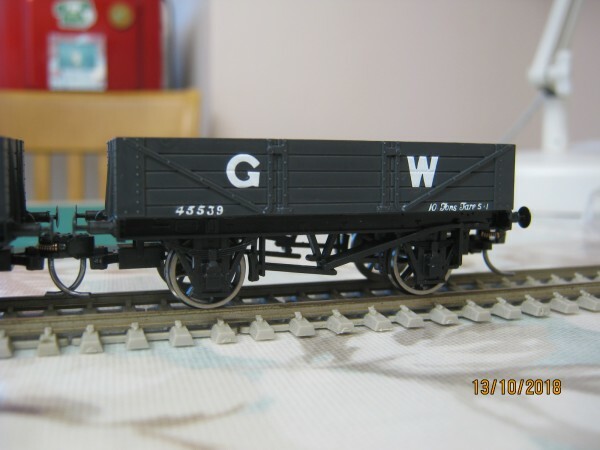 The Hornby and Bachmann wheels didn't seem to be affected just the steel axles. 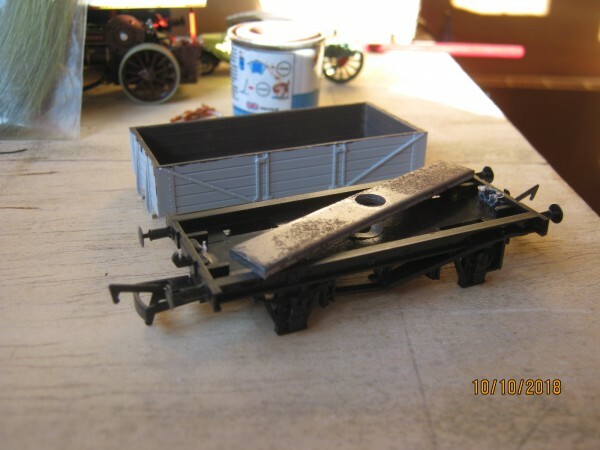 Kadees are generally a failure when trying to shunt just one, 9, or 10 ft chassis British outline wagon. Many of those who claim they are so good, have HAD to find a way to make them do the promised job. 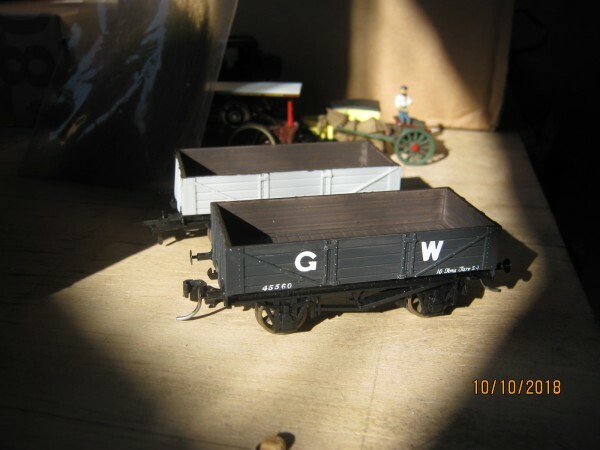 wagons permanently connected with their tension-lock couplings and just have a Kadee on each end. as putting some brake mechanism on wagons to prevent unwanted movement. at the end of the magnetic operational window. free shunting position, or you're simply not going to get the full required action. Complications come because of wagon construction and the use of magnetic axle sets. As you can see it takes some pull to keep axle sets on an almost vertical surface !! addition to holding chassis and body together. 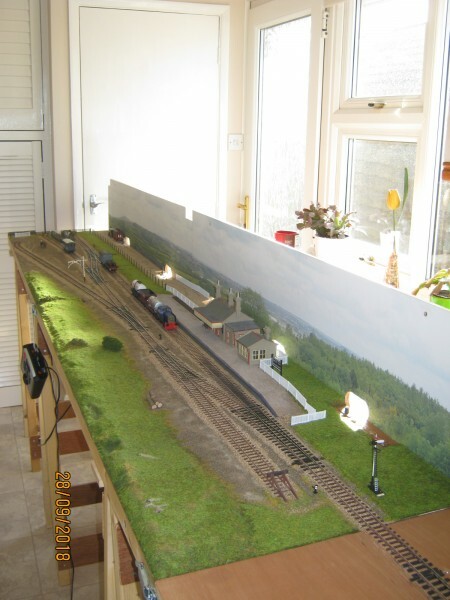 All this on the layout thread rather than my Workbench as this is all part of getting West Bay fully operational. frustrated that the initial interest when we collectively decided to make a new layout seems to have vanished. Geoff, your situation sounds just like the reason I've resolutely reused to join a club, I'm one of the small number of "doers" that you find amongst the sea of "watchers" and "talkers about" and no matter what the activity once anyone realise I know a bit more about computers than "switch it off and back on" they all think I should sort their problems for free. Fix it for free ! - So you should, a man of your experience ! meant becoming club chairman, after my wife forbade me getting deeply involved. 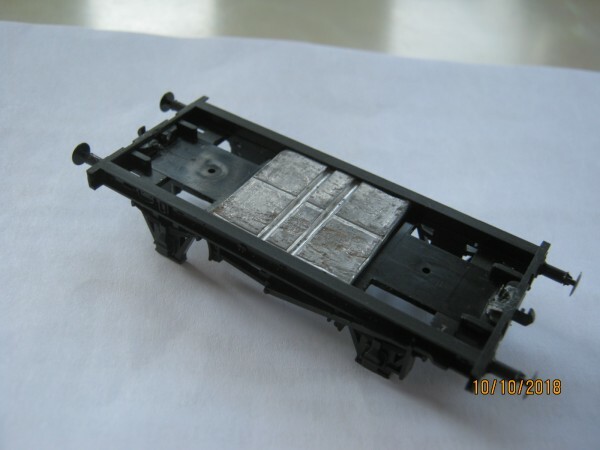 not suitable due to magnetic axle sets and magnetic ballast deep in wagons. 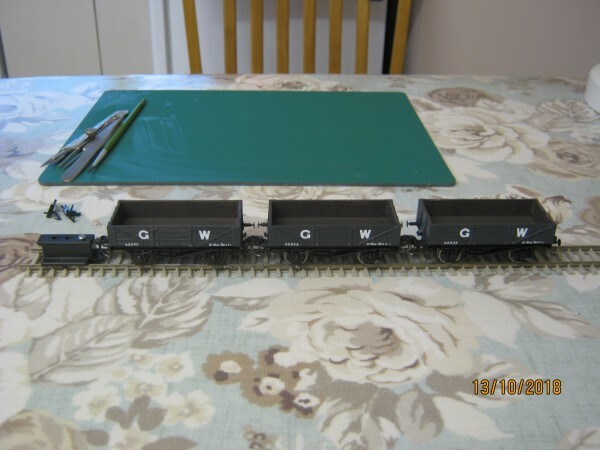 a good product for use with British wagons. 100 track as the type of track used will influence results because of the varying depth. All this fiddle is a reason why I'm not at all certain they are fit for purpose !! 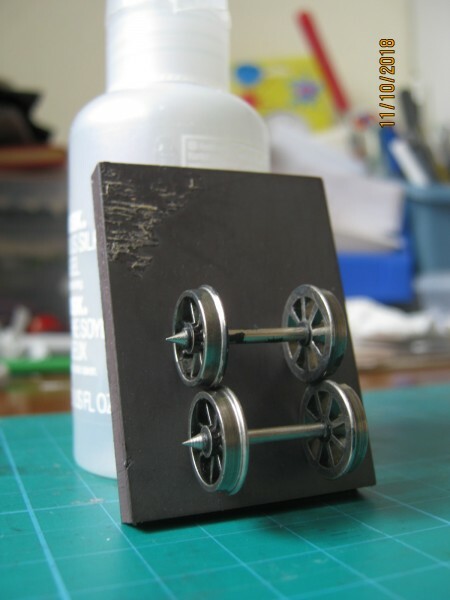 is not a chore, but making up the tare weight from 3 pieces takes a delicate touch. Can't really go wrong at £6.50 each - O.K, so I had the paint and decals. Again here & not my workbench because they're not mine.